30 hr. 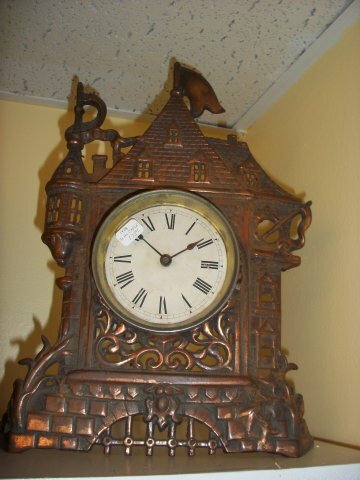 metal castle clock. 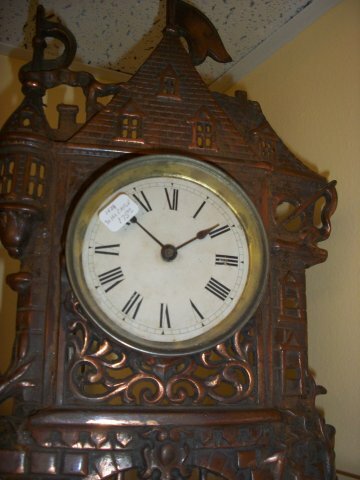 Close up of metal clock.